Finally, some good news: The CDC reports that Florida is no longer an active area for the Zika virus. The Zika virus has been making headlines for quite some time now—and more often than not, the news isn't good. The virus, which poses extreme dangers for pregnant women, has spread rapidly. It's been linked to other birth defects. It's caused the CDC to warn pregnant women to avoid traveling to affected areas, and to urge women who are thinking of conceiving to hold off after they've been exposed to the virus. 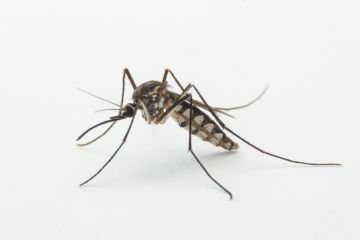 But now we're seeing some positive news where the Zika virus is concerned: The CDC reports that Florida, the first U.S. state to see active transmission of the virus, is currently Zika-free. As we've previously reported, officials identified a spread in South Miami Beach—but there have been no reports of transmission for more than 45 days, which is why they're no longer declaring the area an active zone. "Florida's rapid response and comprehensive mosquito control program has allowed them to interrupt Zika transmission, but we must stay vigilant and also take what we have learned and be prepared for next season," CDC director Tom Frieden, MD, said in a news release. "Pregnant women who live or have been to this area should continue to be evaluated for Zika exposure during their prenatal visits to prevent the devastating effects Zika can cause in their infants." However, it may still be wise to avoid travel to these areas if it's not necessary. Reports have indicated there may be a presence in Texas as well—so we can't say that the United States are totally clear where active transmission is concerned.